+ Numbers – random numbers that are special to the two of you. Distance you lived from one another, first date, ages, etc. + Places – places you’ve been together, or dream of going. + Songs – names of songs memorable for you both. groom share stories and memories, as well as good wishes. Toasts should be short and sweet, kind words with emotional moments and lots of laughs! + The father of bride usually thanks the guests for being part of the celebrations; he welcomes his son-in-law to the family and speaks briefly about his daughter. + Will thank his father-in-law and then thank his own parents for their help today and throughout his life. He thanks his wife for marrying him and he toasts the bridal party. + Should entertain the guests, be funny and emotional all at the same time. + She should toast the bride and groom and the guests. +Some may choose to toast. This is your preference and is managed by the DJ or Master of Ceremonies. Often times opening the toasting provides memorable and special comments toward the bride and groom, however timing may become an issue. Don’t assume that these folks know they are supposed to speak, so ask them in advance. Review the toasting list with your MC and discuss Guests speaking; having a time allotment for toasting helps him/her dictate when toasting is over. 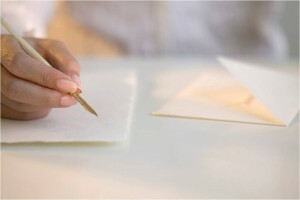 Have you heard of a Love Letter Ceremony? Prior to the wedding day, the bride and the groom each write the ultimate love letter to each other. A testament showcasing the reasons they are marrying, special memories from the relationship, the special moments they fell in love, the proposal, plans for your future, etc. Whatever is written, the bride and groom must not read each others’ letters. or keepsakes they have chosen. The letters are placed in the box and nailed shut during the ceremony, usually by the Mothers or Officiant. The box may be opened in only two instances. First, if there is a time in your marriage where you feel that you are in danger of not saving your marriage, then you both as a couple open up the box. The theory is that those letters would bring you back to the day you were married and give you an understanding that the love you share is much stronger than the problem that exists at the time you opened the box. 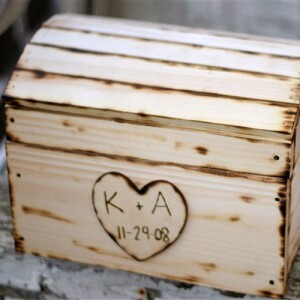 Secondly, the box is to be opened in celebration of your 10th Wedding Anniversary. 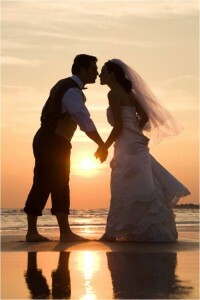 This too will allow you to rekindle that special love that you had prior to your wedding day. 1. What will your budget allow? 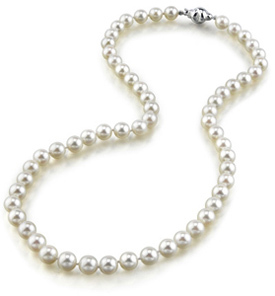 These gifts are usually presented at the rehearsal dinner, a place where you can toast and thank your special ladies. Depending on the gift you may need to provide them sooner than the night before the wedding, the Bridal Shower or Luncheon may be appropriate. Wedding pictures are some of the most cherished possessions for couples all around the world. The beautiful and unforgettable memories that were made on the bride and groom’s wedding day can be captured and kept forever through a photograph, making the selection of a wedding photographer a very important decision in the planning process. 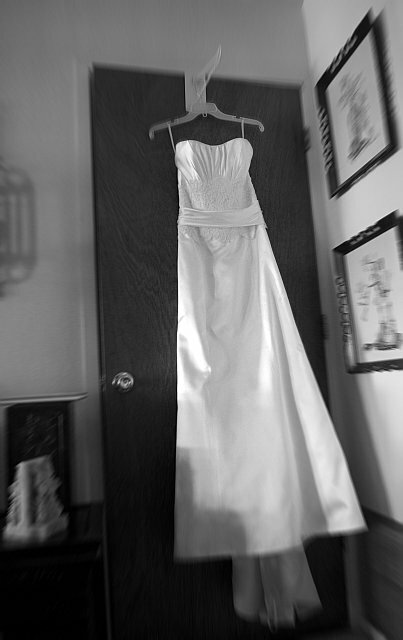 It is important for the bride and groom to thoroughly search for the photographer that best fits their preferences regarding style and technique, product offerings, extent of services, and price. The couple should meet with and interview potential photographers to get a feel for their work and to ensure that both parties will enjoy working with one another. 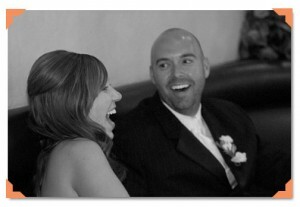 To get the most out of wedding photography, the couple should first let the photographer know their expectations. For example, it may be very important to one couple to do pictures with extended family, while another couple may only want pictures with both sets of parents. Or, one couple may choose to take pictures together before the ceremony, whereas another may not want to see one another before the bride walks down the aisle. Second, the couple should ask their photographer about any suggestions that he or she may have. The photographer may prefer to shoot at a certain time of day, many have a set of poses already in mind, or may wish only to capture candid moments of the bride and groom’s interactions. The bottom line is that the couple and photographer should both communicate their expectations to one another to ensure a picture perfect experience for all! presence at and details of the bride and groom’s celebration, but they also give an impression of the big event. The formality of the wedding should be reflected by the invitation, helping guests know what to wear and what type of gathering to expect. 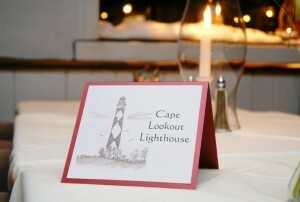 For a black tie affair with a plated dinner, select an elegant invitation with detailed font. 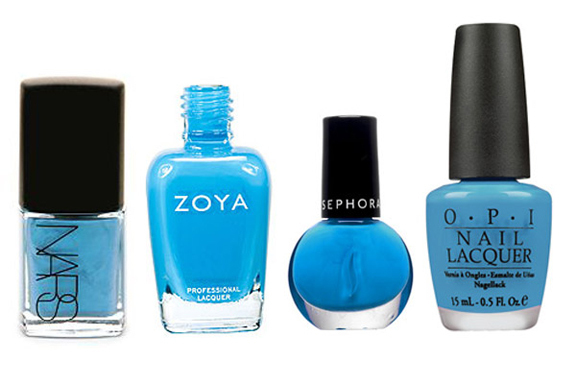 For an afternoon picnic on the beach, try a simpler format with splashes of color. Most important, make sure that all of the information that guests should know upon arrival is available on the invitation. Listed below are some inclusions to consider. transportation planning is pursued. Reserving transportation for important wedding attendants and guests is a crucial step in the wedding planning process. 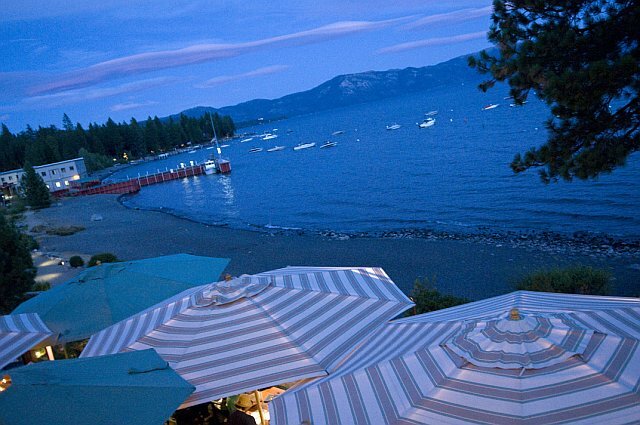 Doing so ensures that arrivals to the wedding are on time and departures home are safe. Transportation services also offer other incentives that guarantee that a good time is had by all. The bride and groom are able to leave their wedding and arrive at their hotel in style, nervous parents are able to enjoy a relaxed atmosphere complete with a glass of champagne, and the wedding party is able to get the party started by celebrating together on the ride over. Arranging for transportation for the bride and groom, their families, and the wedding party is customary, but many companies will be happy to offer their services for wedding guests as well. After all, who doesn’t feel like royalty after riding in a beautiful limo? To make a great impression on both the wedding guests and each other, the bride and groom must dress to impress on their big day! Formal wear selection is of utmost importance in all that is planning a wedding. For the bride, picking the dress is not only about looking gorgeous, but also about feeling beautiful. For the groom, choosing a tuxedo is not only about what’s most comfortable, but also about expressing style. The wedding rehearsal is not only the time to perfect the day-of schedule, but also is it a chance for the bride and groom to spend quality time with the special people in their wedding. 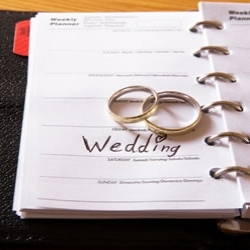 planners, will want to run through the order of events so that all members of the wedding party are on the same page. The rehearsal does not typically last as long as the actual ceremony will, but serves as a shorthand version of how the next day is supposed to flow. The bride and groom’s family usually attend the rehearsal, in addition to the wedding party, so that they are familiar with their assigned seating and any ceremony roles that they may hold, such as participating in the processional, or escorting the bride or groom. Following most ceremony rehearsals is a dinner party. The groom’s family typically hosts this gathering, and the guest list usually consists of the bride’s family, the groom’s family, and the wedding party. However, some couples have also invited close family friends, or those that have traveled a long way to attend the wedding, to the rehearsal dinner as well. Rehearsal dinners can be held at a restaurant, a banquet hall, or a home. The decision is most often left to the groom’s family, or other hosting party. Regardless of the location of the rehearsal dinner, it is important for the host to consider the bride and groom’s preference since it is a time to celebrate and toast their upcoming union. When guests arrive at a wedding reception, it is customary for them to sign in at the guest table. Traditionally, guest books are exactly that—books that wedding guests sign for the bride and groom, putting onto paper their love and best wishes, for the happy couple to keep in their home. However, guest books have undergone quite the modernization since they first appeared at weddings. No longer is the giant books filled with blank sheets of paper the only option for a memorable keepsake. 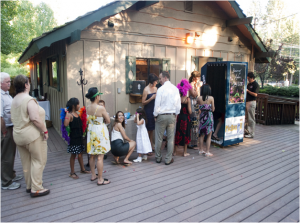 would like to remember who attended their wedding…among these is the photo album, in which guests place a picture that was taken of them at the wedding, whether with an old-school Polaroid camera or using a trendy PhotoBooth. Another choice is to frame a large print of the bride and groom, with a thick border, on which guests can write their names and congratulations. The framed print can then be hung in the newlyweds’ home as an illustration of how special their wedding truly was for them and their guests alike. A third option is to create a digital guestbook. Upon arrival to the reception, guests will be asked to deliver a message to the bride and groom on camera! This option, although requiring a bit of spontaneity and a willing video camera man or woman, offers the couple a chance to see their guests’ excitement and hear their words of encouragement firsthand. So, which option will you and your fiancé choose? There’s nothing wrong with sticking to tradition, but trying something new can definitely be fun too! 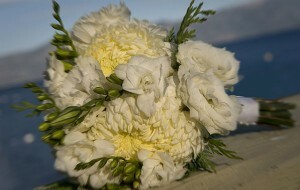 gesture, but it also will give them something to remember your special day by. Like most other facets of a wedding, favors come in all different shapes, sizes, colors, and flavors. Some couples opt for an edible favor with selections ranging from a box of Jordan almonds to personalized M&Ms to chocolate covered strawberries dressed as bride and groom and more. Other couples choose to give a keepsake such as a picture frame, candle, or coaster. 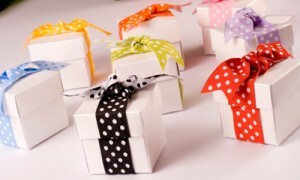 When deciding on what type of favor to present to your guests, think about your wedding budget and your wedding theme. First is the budget…if you only have a little bit to spend, buying in bulk is best. Many companies offer discounts on large orders of the same thing. 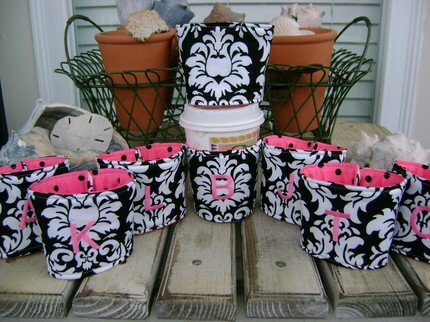 For example, you can get cute monogrammed mint boxes or bubble tubes for a fairly inexpensive price. 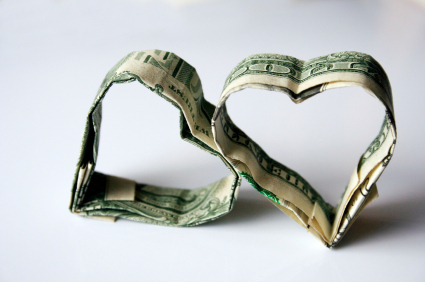 If you have set aside a good amount of money for your favors, you can probably afford to splurge. Maybe send each guest away with his or her own bag of hand-selected candy from the DIY bar you have set up, or a nice bottle of wine. Second is the theme. If your wedding is outside in the summer, how about sending your guests home with their very own potted plants? If it’s wintertime, a decorative holiday ornament would be great! Whatever type of favor you and your fiancé decide to go with, make sure to order more than the number of guests you expect to attend the wedding. Having a few extra will allow you to replace one that may have been damaged in the mail or misplaced in traveling to the reception site. One last tip, have fun with your favors by making them your own—your guests will refer this gift as a vivid memory of your wedding! if you want to go for the obvious, your beautiful white wedding gown will do! to add some support, wear your sister’s pretty lace push up bra to give you that extra lift! friend? 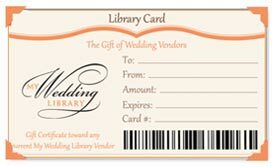 Introducing the My Wedding Library “Library Card.” This gift certificate can be purchased at our Library Storefront for any desired amount, to be used toward the services of any current My Wedding Library vendor. With over 125 local wedding professionals, everything from Photography to Photo Booth, Florist to Caterer; this certificate can be applied toward any of their products or services. From an early age, brides dream of their wedding day and now you can contribute to that dream. Ask a Librarian for more information on this incredibly unique and creative gift. a budget and have assigned responsibilities, make sure that you keep all contributing parties in the loop throughout your planning. This will make asking for money easier and will allow for smooth sailing in the financial department of planning a wedding.